Business Insight - 6 Things to Know When Commissioning Photographers . Commissioning creatives to produce something for your organisation is unlike any other type of arrangement you have with a solicitor, plumber, printer or builder. What separates the creative contractor from these other professions is copyright and the granting of a licence for the use of the copyright-protected material they produce on your behalf. When new work is produced as a result of a commission the producer of that work is automatically granted ownership of the copyright to that material. This can be a photograph, painting, film, sculpture or anything that previously didn’t exist before this agreement was undertaken. In almost all situations the producer of the material retains the copyright ownership to what they have made. Of course copyright can be bought and sold but this has to be agreed beforehand and should never be assumed this is an option. Before you commission a photographer to create new imagery for you it’s important for both parties to agree the licencing terms of their contract. Knowing what the buyer of the work can do with their licenced material is critical. How it’s used, length of use and where it can and can’t be reproduced all effect the charges the photographer will apply for the commission. So how you use that copyright-protected material is very different to how you would use a piece of furniture you might buy for your office. You own that and can do with it what you please. However with a photograph you aren’t buying the picture, you are buying a licence to use it. Below are six things that you must be aware of to understand how licencing works. 1. Rights-Managed (RM) or Royalty-Free(RF)? These are two types of licence models and are by far and away the most popular options for making images available. They are very different and the terms that apply to each should be understood before agreeing to use either one. An RM licence requires that the client decides for how long they wish to use the image, on what media, be that print, web, magazine, front page, back page, inside, etc, the size of distribution and for how long. Once all of the variables are identified and agreed a fee can be calculated for the cost of the RM licence. (Other factors may come in to the calculation too as each commission can be unique but those listed give you a very good idea of the types of questions you can expect to be asked). Once the fee is paid, the client can only use the image as per the terms of the agreed licence. After which another licence will have to be purchased. On occasion the client will negotiate the reuse licence at the time the original licence is agreed thus saving time later should they wish to use the image again. When compared to an RF licence, a lot of work to be done before the client can make use of the image. An RF licence is very different to an RM licence. With RF, once the client has purchased the licence you pay no further fee to use the image so long as you use it within the terms of the licence. As you might imagine this is a very attractive proposition to a client. As long as they keep within the terms of the licence they can use it for as long as they like, where they like, when they like. 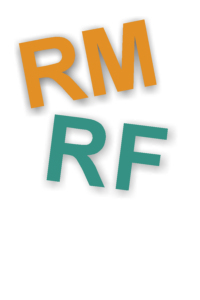 It is important the buyer understands the differences between RF and RM before deciding one is preferable over the other. Sometimes a licence might contain a clause that states the image can only be used for a certain amount of time, 5 years for instance, or that it can't be used for advertising. However if the client wishes to use the image beyond the terms of the licence, it’s likely that by purchasing an additional licence, extended terms can be made available to the client. Because the terms of an RF licence are known beforehand it makes it very easy to set a fee for the purchase of that licence. Note that terms still have to be adhered to even though it is likely to be less restrictive. The moment new work is produced, the photographer becomes the owner of the copyright to that work. The granting of a licence to the work is the basis on which commercial photographers earn their living. I would expect the photographer’s terms to state that they own the copyright and that the images are offered on a licenced basis. However copyright can also be sold but expect to pay substantially more for the purchase of a copyright than for a licence. If you commission a photographer you may want to have exclusive use of those images for a set period of time, as part of an advertising campaign for instance. If this is important to you it should be agreed as part of the terms of the commission. What the photographer does after that time elapses should also be agreed. 4. Is the photographer going to sell those images or place them in to stock? Some photographers may want to make the images you commission available to sell as stock after any exclusive use period has ended. This means placing them with a picture library for their clients to licence. This of course isn’t the only thing they could do with them. They might want to sell them as prints, place them in to their portfolio and use them as part of their advertising or any number of other uses. If this is an issue then those uses should be understood before you agree to terms. 5. Where can you use them? Knowing how you wish to use the images is important as this has an impact on the cost of the licence. Using the images in an internal document is likely to be much cheaper than using them in a magazine published Worldwide. The terms will state in which media they can be used however if additional uses are required then the photographer should be approached before any such use to agree further terms of the licence. It’s quite possible you wish to use the images again after the terms of the original licence have expired or whilst the licence is still active you wish to extend the terms. Perhaps using them in a new country not previously included in the original licence. If this is the case you must contact the photographer and agree new terms. Never use the images without doing so. Unless you decide to reassign ownership, the copyright always belongs to the photographer and the choice of what they do with their work rests with them. It is wise to critical to understand and agree to the terms before a photographer is commissioned. All advice offered in this article is on an ‘as is’ basis with not guarantee or warranty whatsoever and meant for general guidance only. If you are unsure of any aspect of your licencing you should consult with a solicitor.